For this installment of our PV history series, we take a look back at another illustrious rider from the earliest days of the club. Bill Robertson was already doing epic rides with the “big boys” as a 13-year-old and began racing as a junior in 1970, before Pen Velo was founded. He raced for Pen Velo (then sponsored by Talbot’s) in the mid-1970’s as an elite Cat 1 racer. He won the District Championship Road Race in 1975 and the Cat’s Hill Classic in 1976 while sporting the PV colors. He also competed in the Olympic Selection Road Race in 1976, again wearing a PV jersey. Bill retired from competition in the early 80’s. During his competitive career, Bill often raced against local legend Lindsay Crawford. But it was not until after a chance meeting while riding on Skyline Boulevard that Bill and Lindsay cemented a friendship based on their compatibility as riding partners that continues today. Click HERE to read Lindsay’s account of their friendship and some of their adventures. A perfect example of a life long love of cycling. Since I, probably, have more miles riding with Bill then anyone else, I was asked to write a little of his cycling history. I first met Bill in late 1969 when he was just short of 14 years old and already had a reputation of riding with the “big boys” on leg breaking 100+ mile rides which often included a fair amount of dirt roads/trails. Bill was a member of PV in the mid ‘70s and had many successes, including 1975 District RR Champion, while wearing the PV jersey. During that period as Cat I racers, we competed in the same race but had not yet cemented our relationship as two very compatible road riders. During his teen years he traveled to Europe with the notorious Jobst Brandt and was introduced to the awesome roads of Western Europe. A love of riding the Euro mountains, especially the Swiss Alps, has never left him. During the early ‘80s both of us retired from competitive cycling and moved on to getting on with our respective lives. Not much contact between the two of us until a chance encounter in 1986 on Skyline Blvd. Of course we were both on bikes. After chatting on the side of the road for over an hour, we committed to getting back into a high level of fitness with the goal of reliving his Euro experience some 17 years earlier and to return in July 1987. Our plan was to arrive in Europe at a very high level of fitness and we succeeded by putting in some incredible miles in the process. Many times weekends would include back to back 100+ milers including “Sierra rides” (Ebbets, Sonora, Tioga, etc.). Plus, many more weekday miles sandwiched in between work and family. July 1987 we arrived in Zurich with no reservations other than flights over and back, a rough route plan shaped like a figure 8, and a small saddlebag (weighing 6 1/2 lbs.) with every thing we needed for the three weeks. Averaging 100 miles and 10,000 feet per day we never faltered due to our fitness. Switzerland, Italy, France, Austria and Luxemburg all included in the figure 8. Our plan was to continue this madness every other year until we fell of our bikes and, of course, that didn’t happen but, we did manage ’87, 89, & 91 with one of the interim years spent riding most all the Colorado Rocky Mountain roads (dirt and paved) above 10,000’. Because of Bill’s time consuming, successful business, cycling had to go on the back burner after the ’91 trip until this past year or so and he has returned to cycling at age 60; enjoying it as much as ever. On a personal note; I couldn’t have found a more compatible riding partner. Reliable, punctual and very skilled bike handler. We have such a mutual trust of each other’s bike handling that we ride very close to each other and some have said from certain angles it looks as if we’re on a tandem. If you’re curious about how well that works, ask him sometime about the two of us run off the road by a Corvette driver along the west shore of Lake Tahoe. Our next club meeting will take place on Monday, October 3, 2016 at 7:30pm at Summit Bicycles, Burlingame. Beverages and other refreshments will be served. There will be a full agenda this month – all club members and prospective members are encouraged to attend! Update on San Mateo Bike Trails: Ranger Steve Kraemer will give a brief update on the San Mateo county trails (including the Ralston Bike Path) in his jurisdiction. 2017 Uniforms: Pen Velo is excited to announce a new partnership with Castelli Custom to provide our 2017 custom cycling clothing. In preparation for our October order, Castelli’s Custom representative will be conducting an informational session to introduce Castelli’s custom lineup, the ordering process, and discount program for inline gear including accessories, outerwear, travel gear and more. Since this is all new clothing, its highly recommended that you attend this meeting to get a solid understanding of the new clothing and process. Guest Speaker Todd Norwood, DPT, OCS, SCS: PV Member and physical therapist Todd Norwood will be giving a talk on basic first aid for common cycling injuries. He will address situations you may encounter that require EMS, and hold a brief discussion on what to look for if you suspect a concussion. Todd is a PT, DPT, OCS, SCS, and is a Board Certified Clinical Specialist in both Orthopaedic and Sports Physical Therapy as well as Emergency Medical Responder. He has been actively riding and racing MTB XC for over 15 years with a handful of road and CX races mixed in. This installment of our PV history series goes back to the early days of Pen Velo. The Pen Velo race team was initially sponsored by Talbot’s Cyclery, then it was known at Cycle Pro Cycling Team. It was the late 70’s, before the days of aero bikes, deep section wheels and electronic shifting, when jerseys were still made of wool and cycling shorts were always black. In those days, PV had a strong elite men’s cycling team. Quite possibly the most gifted rider to race for this squad was Eric Allen. He rode with PV (Talbot’s/Cycle Pro) from 1975-1979 as a junior and as an elite rider. 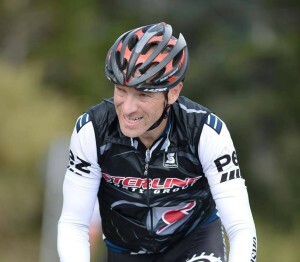 Eric excelled in all types of races – criteriums, road races and time trials. He was a member of the USA national team both as a junior and as an elite rider. He was aiming for inclusion on the 1980 Olympic cycling team when he was tragically struck and killed by a truck in November of 1979 while cycling to work. He is best remembered in the words of his good friend and teammate Mark Cahn (click HERE). Click HERE to read local media coverage of Eric. When I remember Eric Allen, I remember two Erics. There was the tenacious, aggressive, take no prisoners bike racer that won Road Races, Crits, Time Trials, and was on the Jr Worlds Team in ’75 and ‘76. And then there was the easy going, fun, friendly, regular guy off the bike with no hint of ego. I met Eric when I moved from New Jersey to Clayton in ’75. I was a Junior racer and the next couple of years I joined up with the regular 10 am summer training rides with Eric, Tim Parker, Brian Kelly, Dyke Andreason, Mike Zuckerman and others. We did many epic training rides; none more so than our battles up and down Mt. Diablo. Eric would typically win the climb to the junction of the North and South roads, and then fearlessly try to keep up with Tim Parker on the descent. I would back off on the descents, but not Eric. More than once I’d round a bend to find Eric picking himself up from the shoulder of the road, frustrated at not being able to hold Tim’s wheel, but unwilling to give in. Eric kept his bikes in immaculate condition. I recall his Masi and his DeRosa were always spotless and his campy hubs and chrome fork shined with Semi-Chrome polish. Eric introduced me to Steve Aldridge, Ray Stafford, Tom Simpson, and I joined the Talbot’s / Pen Velo team in ’77. He encouraged me to race more aggressively, he lent me his Campy 28 spoke wheels for the Nationals, drove me to races, and was an all-around good friend. Back in the day, before HRM’s and Powermeters dictated training rides, between jams and sprints we’d spend hours on our bikes talking. We’d talk about regular things that teenage bike racers would talk about; bikes, europros, cars, girls. He’d tell me about his encounter with Eddy Merckx during the Jr. Worlds, or his experience at the Olympic Training Center, and he’d do his Eddy B imitation with a thick Polish accent. Eric was there for the first of our Pen Velo SF to LA rides. It was a shock getting the call from Eric’s Dad and hearing that Eric had been killed riding his bike. As bike racers and teenagers we thought we were invincible and the call certainly gave me a reality check. When I think of an example of a great person and athlete, I think of Eric. I was fortunate to have a friend like Eric; I hope you have one too. We are starting to document the 40+ year history of Peninsula Velo, which was founded in 1974. We begin with a profile of James Hibbard, who raced as a junior on the track and road for PV in 1996-7 . We also like to give a shout out to James’ parents for driving him to the Hellyer track after high school studies (important in the success of any junior racer). James went on to be one of the top junior, collegiate and U23 racers on the track and road in the US. He raced as a professional on the road in the early 2000’s with the Shaklee and HealthNet cycling teams. Along the way he did graduate studies in philosophy at DePaul University, which is (of course) a prerequisite for the track pursuit focus. He is also a qualified track coach, as he has helped many old guys get faster! Here are a few photos highlighting James’ days as a junior racer for PV. You can appreciate the colorful late-90’s PV team jersey! Our next club meeting will take place at 7:30pm on Monday, April 4 at Summit Bicycles in Burlingame. Refreshments (snacks and beverages) will be served. The featured speaker will be PV member, attorney, and Masters World Pursuit Champion Jeff Fillerup. The title of Jeff’s talk will be “Three Keys to Preparing for Your Major Races in the Upcoming Year(s): FOCUS, FOCUS, and FOCUS”. This is sure to be of interest to racers and non-racers alike. All club members and prospective members are encouraged to attend. Note that from this point forward, general club meetings will be held at Summit Bicycles on a quarterly basis. This is a timely topic for many of us who will be starting our road racing season in the coming weeks, as well as those of us who simply want to resume healthy eating habits after the holidays! All club members and prospective members are encouraged to attend. The 2016 NCNCA road racing season opened on Jan 1 with the San Bruno Hillclimb. Racers turned out in force to enjoy the dry and sunny (albeit chilly) conditions. Thanks to the riders, the NCNCA officiating crew and most importantly our PV volunteers for making this year’s event a big success! Click HERE for links to event photos. The next monthly club meeting will take place at 7:30pm on Dec. 7, 2015 at the Belmont Sports Complex and Conference Center. All PV members and prospective members are encouraged to attend. The featured speaker will be PV athlete and board member Dr. Andrew Horvai. The title of his talk will be “Exercise Induced Cramps: Why do I get them and what can I do about it? – Separating Fact from Fiction”. His talk is sure to be of interest as most of us have experienced painful muscle cramps while riding and have probably found the information available in the popular media to be confusing and often conflicting. Dr. Horvai completed his undergraduate studies in biology at UCLA, then completed both his M.D. and Ph.D. degrees at UCSD. He then completed an internship in General Surgery and a residency and fellowship training in Pathology at UCSF. He is currently Professor of Pathology at UCSF, specializing in musculoskeletal pathology. 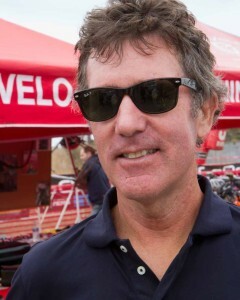 He is also currently an at-large member of the PV Board of Directors and races both road and cyclocross. This month’s meeting will be preceded at 6:30pm by a kick-off meeting for the 2016 Pen Velo Racing Program (PVRP) for all members and prospective members interested in joining our race team. 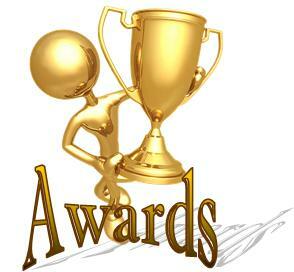 Posted in news | Comments Off on And the awards go to….. Pen Velo celebrated another successful racing season with a year-end banquet at Angelica’s on November 14, 2015. The highlight of the evening was the presentation of the Bill Fallis Award, in recognition of both athletic achievement and service to PV, to co-winners Erik Salander and Nate McKitterick. In addition, Jeromy Cottell was give the special Cycling Savior Award for his leadership in taking over the popular Beat the Clock TT Series.